Posted on October 15, 2013 by Nicole G.
If you could take anything from your dreams, what would you steal? But what if you couldn’t always choose what you took, and you brought back a nightmare? Ronan has this talent. As far as he knows, he is the only one besides his deceased father, who was killed by this secret. But it isn’t the only secret out there. The ley lines, a kind of energy source for spiritual activity, have awakened, so they should be stronger than ever. Why then are they weaker than before? Any fans of Maggie Stiefvater’s Shiver trilogy should definitely read this book. There is an air of mystery and magic that pulls the plot along. I liked how this is the second book in a series, yet I felt everything important in the first book, The Raven Boys, was explained well without being repetitive. If at all possible, this book was even better than the first. Although, reading the first book made me appreciate the characters’ growth more than if I hadn’t. Speaking of characters, they were all distinct and complemented one another in their differences. Blue, the only girl, destined to kill her true love with a kiss; Adam, who feels like nothing, but has a greater importance than he realizes; Ronan, forbidden to return to his childhood home; Gansey, obsessed with an ancient Welsh king, Glendower, and will probably die within the year; and the Gray Man, the most mysterious of all, always remaining inconspicuous in order to complete his job as a hit man. The only question is: who is his target? From the very beginning, the story had me completely hooked. It is one of those books you can’t put down and end up reading late into the night. I only had a couple of issues with this book. The first problem was there were several chapters where Blue wasn’t mentioned once. With such a prominent role, it was strange for her to go missing for chapters on end. Instead, characters who were more secondary had bigger roles, like Ronan and Adam had major parts to play. I understand they were doing important things in that time, but I would have preferred just one chapter from Blue’s perspective intermixed with those chapters. (Everything is in the third person, so you never have to worry who is talking.) Another thing was, even though it wasn’t everywhere, there was too much cursing for my taste. Ronan is the main perpetrator, so with more chapters about him, it makes sense there was more cursing than the last book. Even with those complaints, it a truly amazing read. 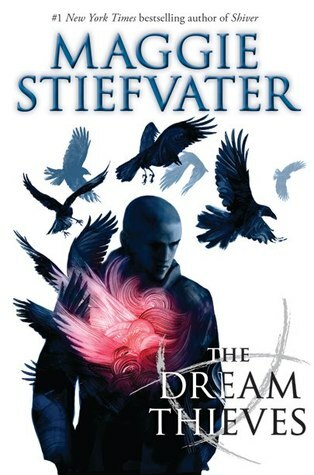 This entry was posted in Book Reviews and tagged book review, fantasy, Maggie Stiefvater, paranormal by Nicole G.. Bookmark the permalink. Nice review. I liked how you went a bit back into the first book for those who didn’t know the first book.